An ostrich farm is due to be set up in the grounds of the Heaton Mersey Bowl later this year. The farm will be built by local resident George Fowler who recently inherited partial rights to the land, and subsequently discovered documents affording him a unique covenant to establish the farm on the site. “When my great uncle passed away, I was left an old envelope in his will while my cousins all inherited a cash lump sum” Mr Folwer told us. “I thought I’d missed out possibly because I’d accidentally poured red emulsion into his petrol tank when I was 8 years old, but when I opened the envelope I discovered a deed dating back to 1903. It appears to have been passed down the generations in our family”. The deed has been verified as an authentic document by solicitors acting on behalf of the Stockport council. It grants Mr Fowler the rights to establish a small farm on the north-western corner of the Heaton Mersey Bowl, as long as the farm is open to the public. Mr Fowler’s explained why this has only just been discovered. “I don’t think my Great Uncle, or his father before him, had the desire or funds to operate a farm so the deed was locked away and forgotten about. But I think it would be a great tourist attraction and would bring people into the area. I’m hoping the Four Heatons Traders Association will help me raise the seed funds I need. Once it’s up and running, I plan to sell the ostrich poop to local residents for their gardens – it’s actually a very good fertiliser you know!”. 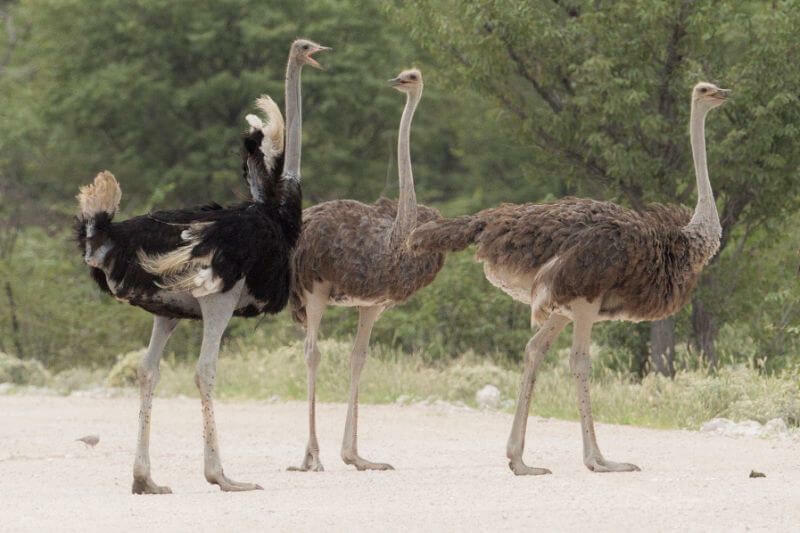 But why an Ostrich farm? “I’ve been fascinated by this bird ever since I was bitten up the you-know-what on an African safari in 1987” he said. “If it’s successful I might add Llama’s to the site too”. The farm is expected to launch later this year. For further details visit www.heatons-ostrich-farm.co.uk.